USB Drive Antivirus uses innovative technology to block any threats via USB drive,any USB drives inserted into computer, USB Drive Antivirus will automatically scan it and remove threats. 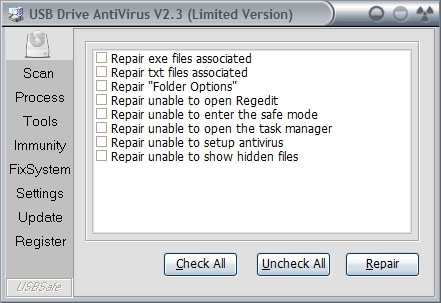 The majority of anti virus software are unable even to guarantee 50% protection. USB Drive Antivirus also has the ability to detect and remove usb/autorun virus in your computer. What you need to do is clicking the scan button,and waiting for virus scan to complete. Other antivirus software should update signature database regularly, and they can not effectively protect offline computer that is not connected to the Internet. When new viruses, worms and other malicious attacks strike, traditional signatures are insufficient. 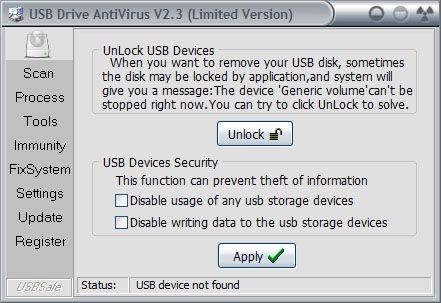 USB Drive Antivirus uses advanced detection techniques, it doesn't mainly rely on virus signature, so it can protect offline computer from usb virus effectively without updating frequently. Also, you can visit Euask: A community for mutual assistance and knowledge sharing to find more solution. 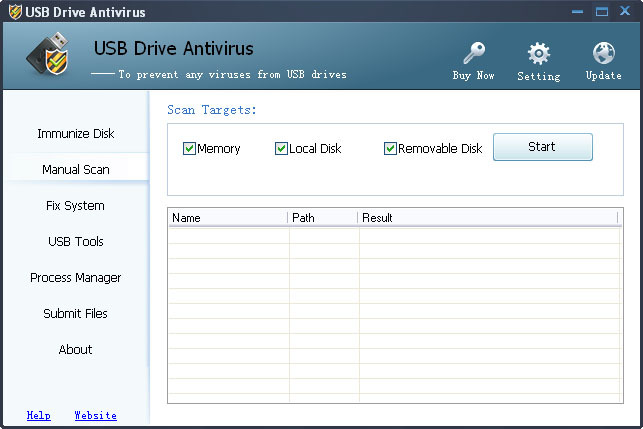 With USB Drive Antivirus, it’s not necessary to sacrifice speed for detection and scanning. Compare with other antivirus software and you'll discover that USB Drive Antivirus installer is just 1 MB. The program utilizes approximately 6 to 8 MB of RAM. 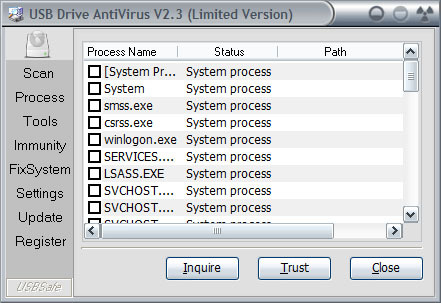 Incompatibility between antivirus programs is an issue. In the vast majority of cases, installing two antivirus programs from different vendors on one machine (for increased protection) is technically impossible. However, USB Drive Antivirus is 100% compatible with all other security products in fully testing, including Norton,Nod32,Bitdefender,Kaspersky,etc. 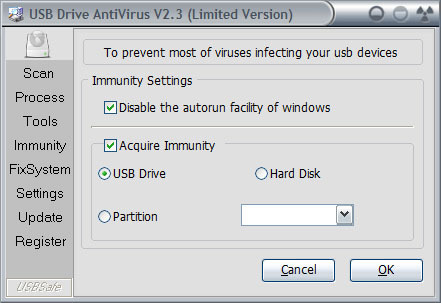 USB Drive Antivirus has been specifically designed to perform effectively regardless of the user’s level of computer expertise.